Advances in understanding brain function and brain disorders are often enabled by cutting-edge technology and the focus of the brightest scientific minds from diverse disciplines around a common goal. Berkeley Neuroscience fosters advances by sponsoring Research and Technology Centers. These centers bring together physical scientists (e.g., from physics, chemistry, computer science, and engineering) and neuroscientists to develop tools for neuroscience research, and apply these tools to advance our understanding of the brain. Deep brain stimulators that treat the symptoms of Parkinson’s Disease and brain-implantable prosthetic systems that help a disabled person move a computer cursor or robotic arm are exciting examples of a new frontier in neuroscience – engineering neural interfaces that can correct for neurological maladies. Neural interfaces can potentially be applied to treat a wide range of disabilities, from loss of vision or motor control to psychological conditions like depression or post-traumatic stress disorder. CNEP, led by co-directors Jose Carmena and Edward Chang, brings together neuroscientists, neurologists, and engineers from UC Berkeley and UCSF to develop breakthrough technologies to restore neural function. CNEP is a non-profit, research-based organization with the ultimate goal of transferring its innovations into common medical practice. A flattened representation of the human brain imaged at the BIC. Colors correspond to the brain’s activation in response to certain words or images. Image courtesy of Alex Huth, Gallant Lab. 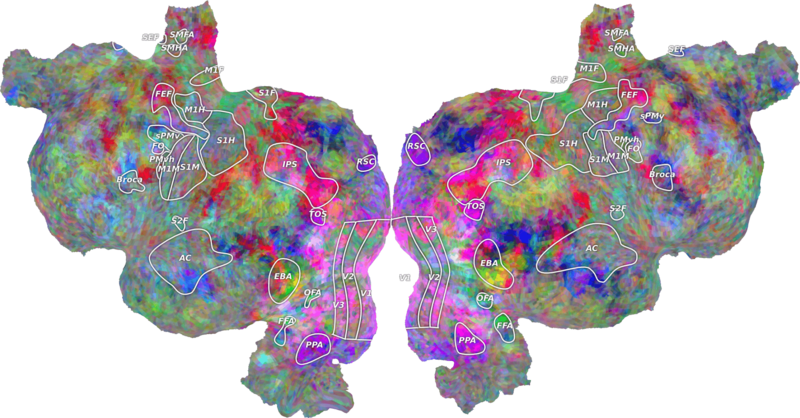 The ability to visualize brain activity in people using functional magnetic resonance imaging (fMRI) has revolutionized cognitive and clinical neuroscience, by providing a window on brain function and dysfunction. The BIC, led by Professor Mark D’Esposito, is one of the most innovative and powerful imaging facilities in the world dedicated solely to basic research on human and animal brain function. The BIC houses a 4 Tesla and a 3 Tesla MRI scanner, and is built upon active collaboration between cognitive neuroscientists, physicists, chemists, and computer scientists. Our physical scientists and neuroscientists work together to enhance the temporal and spatial resolution of brain imaging technologies, to probe deeper and more precisely into the dynamic functioning of the living brain. 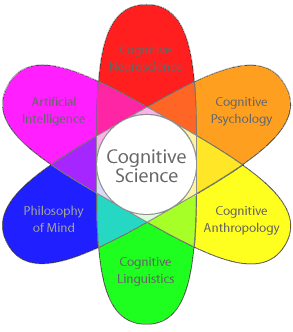 ICBS supports research in cognitive science, the interdisciplinary field dedicated to understanding the nature of the mind and the biological basis of behavior and mental function. Institute members come from a number of departments on campus, including Psychology, Linguistics, Electrical Engineering and Computer Sciences, Vision Sciences, Education, Anthropology, Philosophy, Music, and Berkeley Neuroscience. The intersection of researchers from these different disciplines has led to new research paradigms and methodologies to address pressing questions about the mind and brain. Electrical signals are recorded from the hippocampus of a moving rat as it runs back and forth on a linear track. Scientists found that at each point of the track, specific patterns of electrical activity emerge. 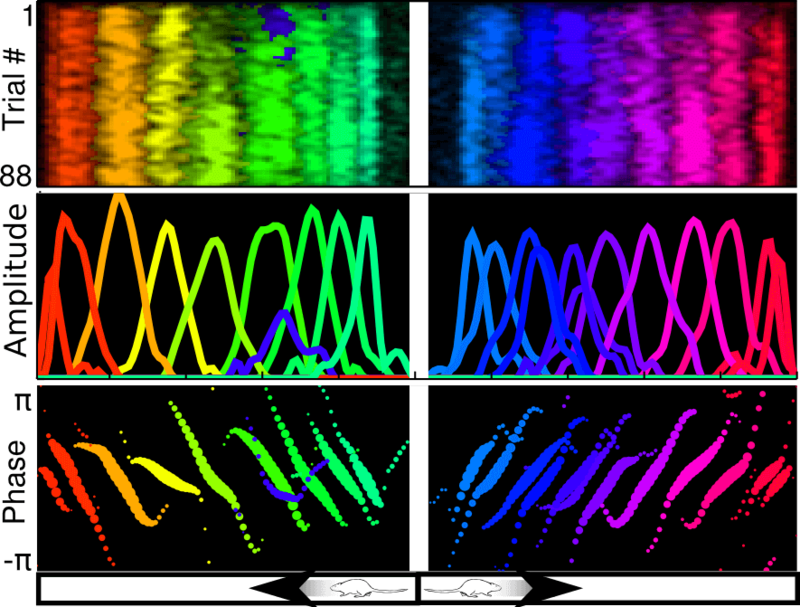 In this figure, the activity of each pattern is rendered in a different color. Together, these patterns define a ‘map’ of the environment that specifies the rat’s current location. The past several decades have yielded a plethora of data regarding the structure and function of the brain, yet we are still lacking concrete theories for how information is processed by neurons so as to mediate basic abilities such as vision, hearing, language, memory, and motor control. Investigators at RCTN, led by Professor Bruno Olshausen, are attempting to bridge this gap by bringing their expertise in computer science, physics, mathematics, and engineering to bear on modeling the complex interactions that take place in neuronal circuits, as well as developing new computational tools for analyzing the high-dimensional datasets now arising from neuroscience experiments. Developing such models and tools is essential in order to design experiments and interpret findings in terms of a theory of neural function and ultimately, intelligent behavior. In addition to possessing a 36-node computing cluster, RCTN hosts the NSF-funded Datasharing Facility (crcns.org) where modelers can access data from experimental labs. Berkeley Neuroscience faculty and collaborators are also affiliated with the following Centers. 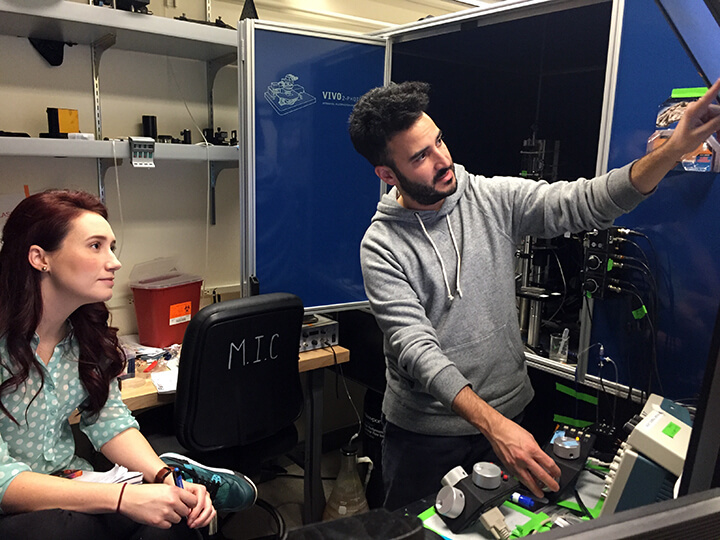 The Computational Imaging Lab develops new imaging systems to optically record and control the electrical activity of many neurons simultaneously in order to study the mechanisms of perception, cognition, and behavior. FGL creates and exploits the most advanced gene microarray and other high-throughput genomics technologies to address neurobiological questions at the genome-wide level. 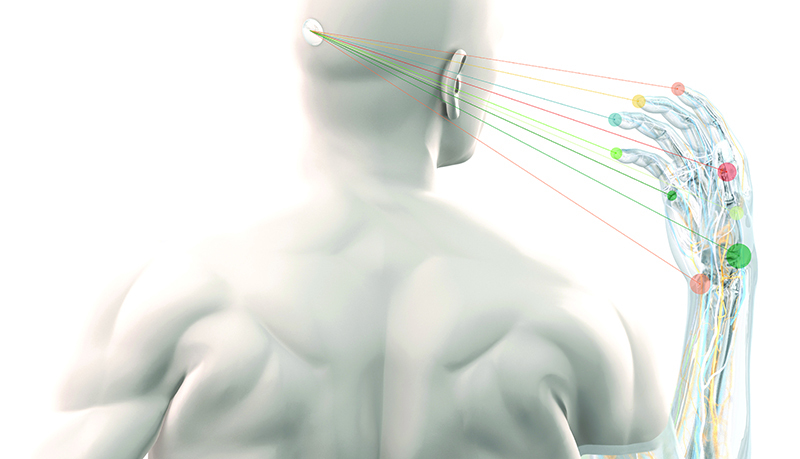 The MIC develops optogenetic tools to record and control neuronal activity and provides an array of cutting-edge confocal and multiphoton microscopes for sophisticated imaging experiments. The UC Berkeley UCSF Glenn Center studies the molecular causes of neurodegeneration in aging and develops therapeutics for neurodegenerative diseases.